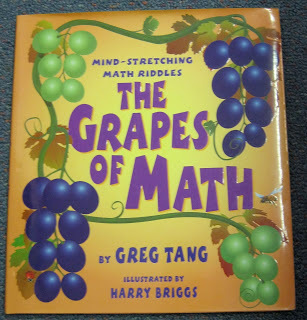 If you are an avid reader of my blog, you will know how much I love reading Greg Tang's books to help teach concepts in Maths. If I can teach something through a picture story book, then I will do it! Anyway, Greg Tang contacted me over the weekend via email to let me know about his new website. You can check it out here. These are some sections I loved and can't wait to use. All Greg Tang's book are now available as eBooks! I can't wait to use them on my Interactive Whiteboard! 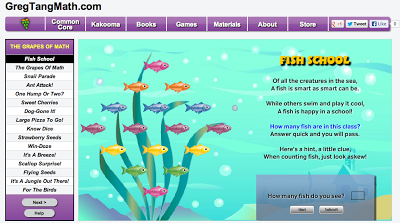 LOVE some interactive games for our ICT Maths time! I CAN'T wait to download some of these apps on our School iPads! 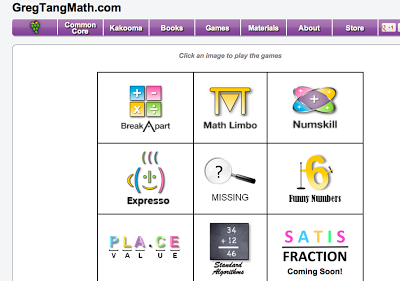 I hope you all have time to check out his new website soon - I can't wait to explore more and find out great resources, eBooks, videos and games I can use in my classroom! Click here to go and visit yourself! Thanks so much for sharing all this info. A couple of teachers uses a lot of his stuff, but I don't they they know about this. Great resource! Thanks Matt! I was more than happy to share! Perfect Emma! Greg Tang's books are great for teaching through problem solving and listening!